Send ANY webpage ANYWHERE in the world. 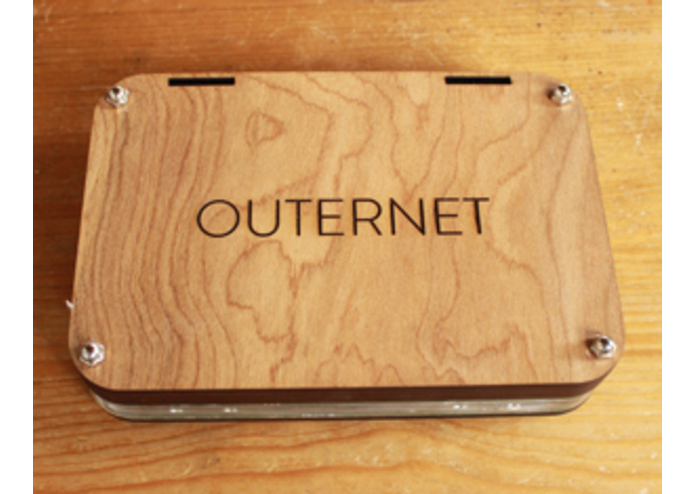 When Thane came to us to explain Outernet, we were all a bit worried; It sounded too difficult. The idea is amazing: send any data you want to the entire world through satellite. Our hack gives us a way to send any webpage out to the Outernet satellites (and then to the entire world) by turning them into an image file that can then be displayed on even the most basic of machines. We keep each article under 1mb, and send the articles one at a time, slowly building a library of them. To choose what content we want to send, we used Reddit. Reddit already gives us a huge amount of democratically curated data, which is in the spirit of the Outernet. Rendering the webpages to an image is tricky, and sometimes the image renders before the webpage completely loaded. We are still working of fixing that. We have a viable Reddit app that can be accessed by anyone with an Outernet box, and our app might become part of the Outernet ecosystem. 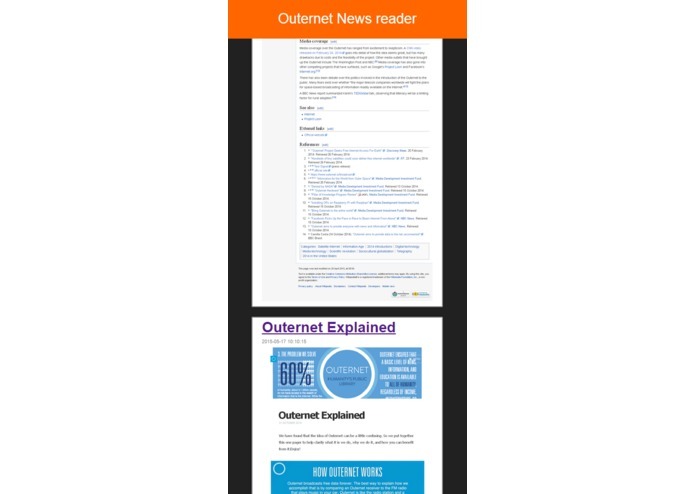 I'd like to keep working with Outernet to deliver more than just reddit. 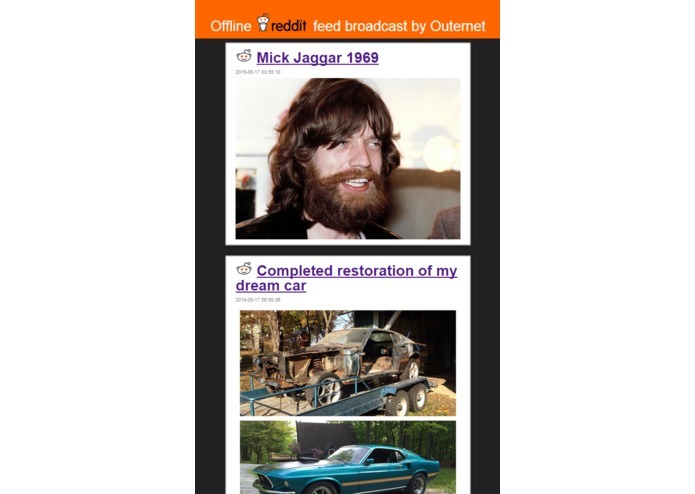 We also created a "News Reader" that allows us to post news to our own subreddit and it is then sent to another app on Outernet called "Outernet News Reader"